Kristen Stewart is proving she is more than just a vampire icon in her latest flick Snow White and the Huntsman. The much-anticipated movie, directed by Rupert Sanders, features Kristen as Snow White, Chris Hemsworth as the huntsman and Charlize Theron as the evil queen. This hauntingly dark movie puts a twist on the classic fairy tale when the huntsman ends up becoming Snow White’s guardian, and perhaps her one true love, after being ordered to kill her. To the movie premiere Kristen Stewart turned up in a stunning black Marchesa gown complete with beautiful lace detailing. However, it was Kristen’s minimalistic makeup look that made this glamorous outfit truly shine. Her fresh face, pink lips and dark eye shadow created a stylish makeup look without looking too overdone. Want to emulate Kristen’s movie premiere makeup look? Read on for all the details. One of Kristen’s most attractive features is her creamy, light skin. Kristen’s crystal-clear complexion is as important to her character Snow White as it is in her red carpet beauty look. 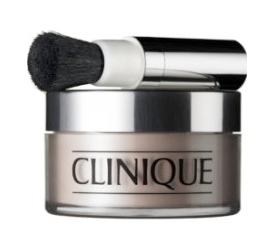 To make all your imperfections disappear, go for Clinique’s Transparent Blended Face Powder ($21.00 at Macy’s). This super luxurious face powder is soft and won’t irritate your skin. Plus, it’s ultra lightweight and leaves the perfect finish on any skin type! For this beauty look, Kristen went for a light, natural lip color, and we love it! The pretty pale pink is perfect for spring and summer, not to mention it places the focus on Kristen’s shadowy eyes. Get the look with Maybelline’s SuperStay 14HR Lipstick in Perpetual Peony ($6.94 at Wal-Mart). This all-new, long-lasting lip color is light on your lips and doesn’t fade throughout the day. The pretty pink color is just like the color of Kristen’s lips... how perfect! Kristen accentuated her eyes with dark eye shadow that gave her makeup look the ultimate finish! 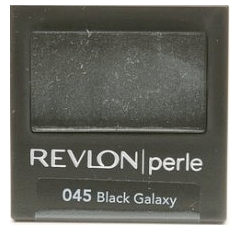 Get the look with Revlon Perle Eye Shadow in Black Galaxy ($4.44 at Wal-Mart). This jet-black eye shadow is easy to apply and leaves your eyes looking marvelously mysterious... just like Kristen Stewart! What else is there to love about this wonderful black eye shadow? The under $5 price tag makes it super affordable. Getting Kristen Stewart’s Snow White and the Huntsman movie premiere makeup look is just as easy as 1, 2, 3. With a bit of face powder, a splash of pink lip color and some seriously dramatic dark eye shadow, you are ready to rock!